Everybody loves Santa and what would be Santa without his hat? 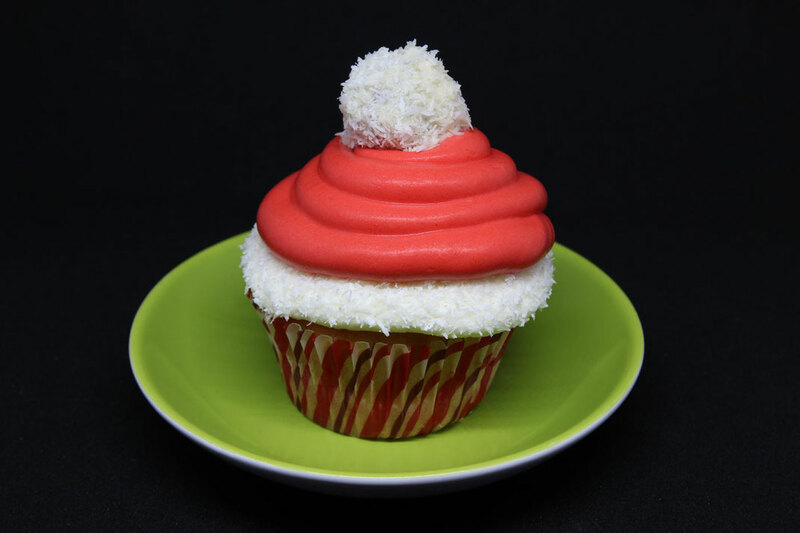 This cute Santa hat cupcakes will sweeten your Christmas holidays even more. 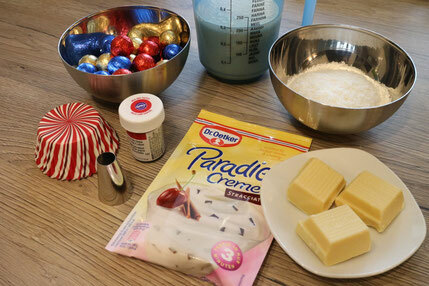 The first step is for sure to bake the cupcakes. You can use this recipe. 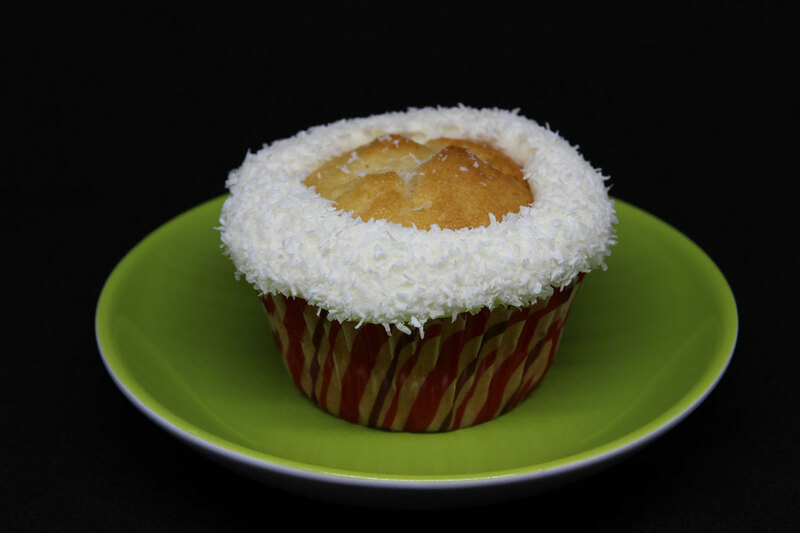 While your cupcakes are in the oven you can already start with preparing the little pompoms for your hats. 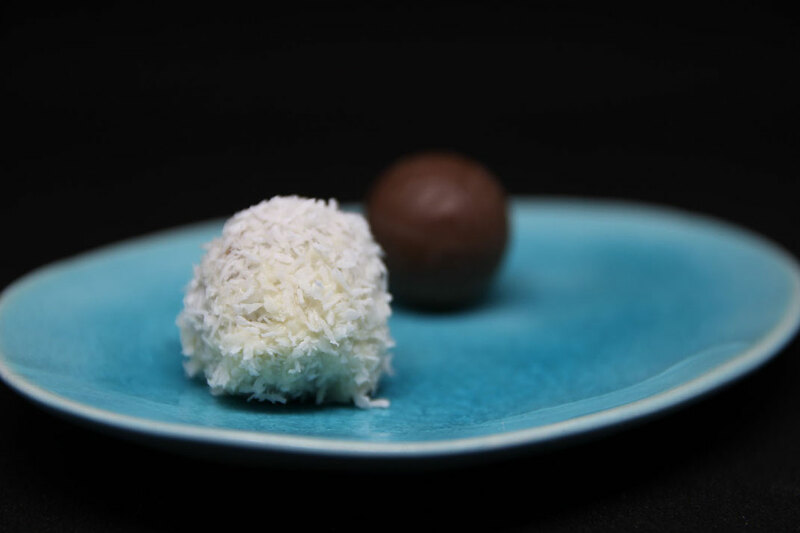 You need to melt the white chocolate and dip the chocolate balls into it. 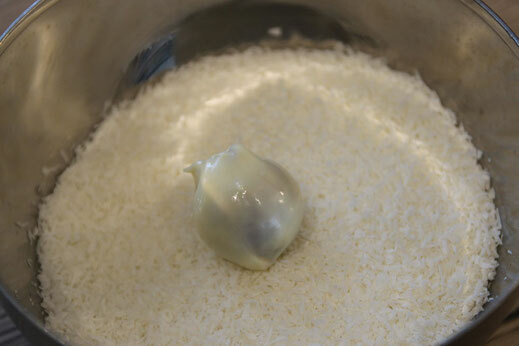 Afterwards the little ball will be coated with the grated coconut. 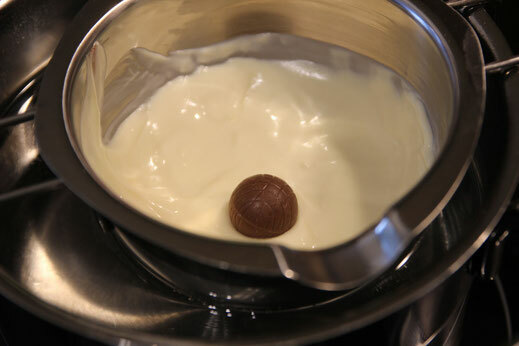 This step has to be done very quick to not melt the chocolate ball in the warm white chocolate. You can set the balls aside to cool and harden again completely. 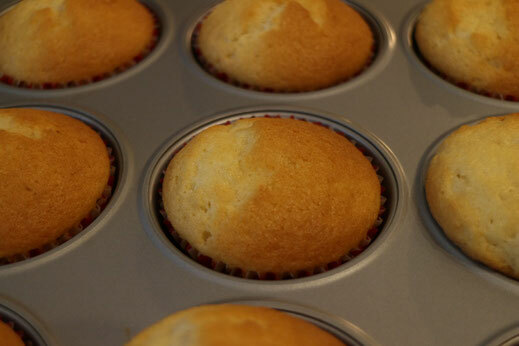 After your cupcakes are baked and cooled you can start with the preparation of the frosting. About 2/3 of the mix needs to be dyed in red color to achieve the original Santa hat color. 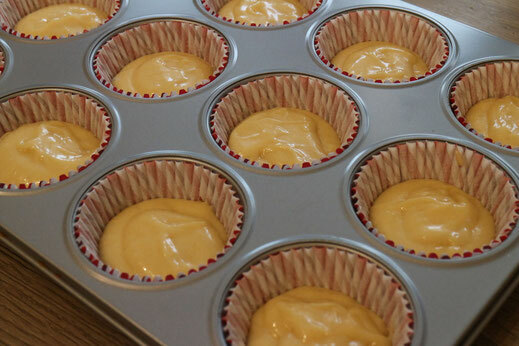 First you fill the remaining 1/3 of the white frosting into a piping bag with the big round tip and pipe one circle of white frosting around the edge of the cupcakes. Then they will be dipped into the grated coconut, to get the fluffy style of the cuff.